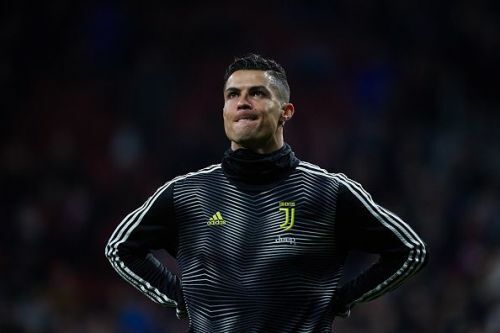 Juventus star Cristiano Ronaldo, who is the top scorer and assister in the Serie A, could see his goal tally surpassed as Sampdoria striker Fabio Quagliarella continues to keep the Portuguese on his toes. Sampdoria established a 2-1 win over SPAL on Sunday night, courtesy of two early goals from veteran forward Quagliarella. Juventus, on the other hand, increased their lead at the top of the Serie A table to sixteen points after a 1-2 victory over rivals Napoli. Despite not being on the scoresheet, Ronaldo made the headlines for what many have deemed to be a dive that got Napoli goalkeeper Alex Meret sent off in the 25th minute of the game. The referee did not choose to make use of the VAR technology available and did not review the challenge before handing out the red card. A replay of the tackle would show that there was, in fact, no contact between the two players in the first place. Quagliarella's goal against SPAL marked his 19th league goal this season, thereby equaling Ronaldo's goal tally in the Italian top flight. While the Portuguese star boasts of eight assists so far this season, the Italian forward follows close behind with six. The former Real Madrid star failed to make use of the opportunity to move ahead of Quagliarella during last night's clash with Napoli and could see himself getting replaced if he does not score soon. The Serie A goal-scoring race is heating up with AC Milan's Krzysztof Piatek also closing in on the top-scoring duo with 18 goals. The numbers are set to change when Juventus face Udinese and Sampdoria locks horns with Atalanta this weekend.